Heart valve disease or valvular heart disease is a condition that causes your heart’s valves to malfunction. About five million Americans are diagnosed with heart valve disease annually. Many people live long, active lives with valvular heart disease. However, understanding the treatment for it, as well as preventative measures, can lower the chances of it leading to problems in and around the heart that can become fatal. There are heart valves at the exit of each of our four heart chambers. The valves ensure that blood flows freely in a forward direction and that there is no backward leakage. When blood is not flowing properly or leakage happens, there could be a valve problem. 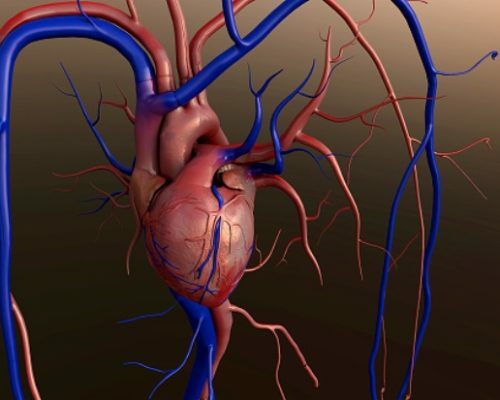 People who are older, have a history of infectious endocarditis, have suffered from rheumatic fever, or have experienced a heart attack are at a higher risk of developing heart valve disease. Intravenous drug users are also at risk. The risk factors associated with coronary artery disease, such as obesity, smoking, high blood pressure, poor diet, and history of heart disease are also considered risk factors. There are cases where people are born with valvular issues, too. For example, some people have two flaps instead of three in their aortic valve, while others may have flaps that fuse together and work as one. These people are also at a higher risk of getting heart valve disease. Sometimes a family doctor will discover a heart irregularity, but when it comes to heart valve disease diagnosis, it is usually a cardiologist who is able to confirm if in fact you have an issue with your valves. The doctor will listen to your heart with a stethoscope, as well as check your lungs for any fluid. Checking for any signs of water retention, such as swollen ankles, will also be part of the physical examination. Echocardiography (echo) – this is a test of the action of the heart using ultrasound waves. It shows the size and shape of heart valves and chambers. It can also indicate how the heart is pumping blood and whether a valve has backflow. Electrocardiogram (EKG) – a test that checks for problems with the electrical activity of the heart. Chest X-ray – this test can indicate whether certain sections of the heart are enlarged, if you have calcium deposits in your heart, or whether you have fluid in your lungs. Cardiac catheterization – a catheter can present images that show whether backflow is occurring through a valve and how the valves open. Stress test – this involves exercise to make your heart beat fast, while tests and imaging are conducted. It can help determine severity of heart valve disease. Cardiac MRI – this is a test that uses powerful magnet and radio waves to show detailed images of the heart. It can detect valve defects. It is also used before heart valve surgery to help surgeons plan their operation. Heart valve disease treatment can involve drugs, surgery, or lifestyle adjustments. Medicines can lower high blood pressure or high cholesterol, prevent irregular heartbeats, thin blood and prevent blood clots, treat coronary heart disease, and dilate blood vessels to rid the body of excess fluid. Repairing or replacing heart valves is another way to treat the condition. A repair or replacement can prevent lasting damage to the heart and prevent death. This option is considered depending on the severity of the valve disease and whether you have other heart conditions. Below we look at specific methods of heart valve disease treatments. Repairing heart valves: Heart valves can be repaired by adding tissue to patch holes or tears or to increase the support at the base of the valve. Tissue can also be removed or re-shaped so that the valve closes tighter. Doctors can separate fused valves as well. Sometimes, a less invasive approach of using cardiac catheterization can be used to repair a valve. Replacing heart valves: Surgery can involve removing a valve with a man-made or biological valve. Biological valves are made from pig, cow, or human heart tissue. Biological valves usually have to be replaced every 10 years, but man-made last longer. Ross procedure: This procedure can be used for faulty aortic valves. The surgeon removes the aortic valve and replaces it with your pulmonary valve. Your pulmonary valve is then replaced with a pulmonary valve from a human donor who has passed away. Doctors admit that there is a greater risk of complications with this procedure. Other approaches: Less invasive procedures that require shorter hospital stays and a quicker recovery can be considered for some patients. One such approach is called transcatheter valve therapy. In this case, a catheter is inserted into an artery in the groin and threaded to the heart. A deflated balloon with a folded replacement valve around it is at the end of the catheter. Some procedures involve threading a clip or other devices onto the valve to repair it using a catheter tube inserted through a large blood vessel. Heart valve disease prevention begins with lifestyle. For instance, maintaining a heart-healthy diet, which means limiting portions, limiting saturated and trans fats, reducing sodium intake, as well as eating lots of fresh fruits and vegetables is best. Physical activity will also help keep your heart healthy. To prevent heart valve disease caused by rheumatic fever, visit a doctor if you experience any signs of strep infection. If you are diagnosed with strep, take medications as prescribed to treat it. Quick, effective treatment can prevent rheumatic fever, which has the potential to damage your heart valves. If you have already been diagnosed with a heart valve problem, make sure you see your doctor regularly for checkups. Your doctor needs to be monitoring your heart valve disease to see if it is getting any worse. Additionally, you should be aware of the symptoms of infective endocarditis and consult a doctor if you notice any of them. The symptoms include fever, chills, muscle aches, night sweats, problems breathing, red spots on the palms and soles, as well as swelling of the feet, legs, and belly. It is important to take care of your heart if you have valvular heart disease, even if your heart has been repaired or replaced surgically. Having a clear understanding of the type of disease you have and the extent of your heart valve disease will help you see how vital it is to try to stay healthy. You should inform all medical contacts, including your dentist that you have heart valve disease, call your doctor if you experience symptoms of an infection, take good care of your gums and teeth, and take medications as they are prescribed to you. The reality is, there is no cure for heart valve disease, but millions of people live with the condition and you wouldn’t even know it. While it can be frustrating and inconvenient, those who have the disease will always need lifelong support and medical follow-ups to make sure that their heart valves are doing what they are supposed to.